Entrepreneurs and new business startups are invited to compete in the 2017 Metro East Start-Up Challenge (MESC), Southern Illinois University Edwardsville’s fourth annual regional business plan competition. The MESC is organized by the Illinois Metro East Small Business Development Center (SBDC) at SIUE. The purpose of the Challenge is to identify, encourage and support entrepreneurs and business startups across the SBDC’s service area, including Calhoun, Jersey, Madison, Bond, Clinton, St. Clair, Washington, Monroe and Randolph Counties. The first-place winner will receive a $7,000 cash prize. Second and third place winners will receive $5,000 and $3,000, respectively. Prizewinners will also receive an array of in-kind professional services. The Challenge is made possible through tremendous regional support. Sponsors include the SIUE School of Business, Anders CPA, the City of Collinsville, the Leadership Council Southwestern Illinois, the City of Edwardsville, FCB Banks, Anders CPA & Advisors, Commerce Bank, Curt Bailey-Attorney at Law, Riverbend Growth Association, Artigem and University Park at SIUE. SIUE’s School of Business, the SBDC’s host organization, will assist with facilitating the competition. The 2017 MESC invites entrepreneurs and startup businesses from four target industries: information technology, manufacturing, healthcare and sustainable food. For a startup business enterprise to be eligible, it must have been established after April 30, 2014, and be headquartered in the SBDC’s nine-county service area. For pre-venture entrepreneurs, proposed new business operations will need to be located within the same nine counties. Past winners are grateful to have competed, since the MESC positively and productively extended their business efforts, and strengthened their entrepreneurial journey. The MESC includes three rounds, beginning with a brief questionnaire and executive summary submittal that is open to all applications that meet the eligibility guidelines. Participants selected for the second round are invited to expand on their entrepreneurial concept by submitting a full business plan. The last round is the “final pitch” in front of a panel of business experts. 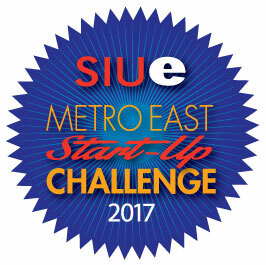 For more information on the 2017 MESC or to initiate the application process, visit siue.edu/metroeaststartup. The initial entry deadline is Tuesday, September 5. Semi-finalists will be announced Friday, Sept. 8, with finalists notified on Wednesday, Oct. 18. The Challenge will announce its cash prizewinners on Friday, Nov. 3 during the monthly Leadership Council SW IL meeting. The Illinois SBDC Network is a service to the community supported, in part, by the U.S. Small Business Administration (SBA), the Illinois Dept. of Commerce and Economic Opportunity, and the SIUE School of Business. SIUE operates two Small Business Development Centers and the International Trade Center. All three Centers provide resources, information and support to entrepreneurs, and small business owners in the nine-county Metro East region of Calhoun, Jersey, Madison, Bond, Clinton, St. Clair, Washington, Monroe and Randolph. By aiding entrepreneurs and companies in defining their path to success, the SBDC positively impacts the Metro East by strengthening the business community, creating and retaining new jobs, and encouraging new investment. When appropriate, the SBDC strives to affiliate its ties to the region to support the goals and objectives of both the SIUE School of Business and the University at large. To learn how the SBDC can help your small business, contact the Metro East SBDC at (618) 650-2929 or sbdcedw@gmail.com.